Feeling down or often experienced fatigue due to a non-stop work? It is a “no secret” that Japanese people tend to overwork every single day. Though working hard is highly commendable, it is also very important to take care of personal health first to enjoy healthy living. If you are the type of person who works on a day to day basis, then you might as well need these extra power drinks to conquer the day. 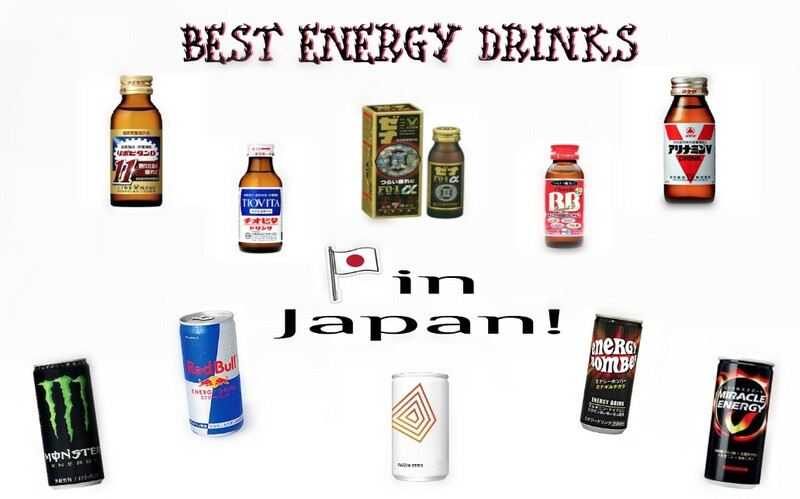 Check out the best Japanese energy drinks for your own survival here in Japan! 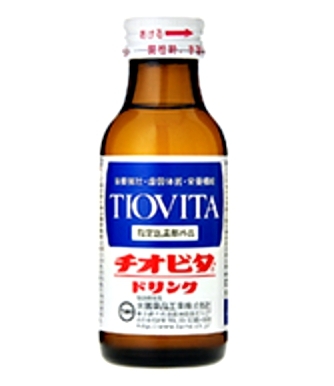 Lipovitan D11 is a 100 mL drink containing 3 active ingredients such as taurine 1500 mg and arginine hydrochloride in 3 herbal medicines such as Shigoka, Nikkuyou and Kukoshi. It is formulated for maintaining and improving physical strength, body resistance or concentration ability, and to fight the feeling of fatigue. It is also good for those who suffers from appetite loss due to hangover. The recommended dosage is only one bottle per day for those who are 15 years of age and above. ZENA F0-I is a quasi-drug and tonic mini-drink incorporating seven types of herbal medicines (equivalent to 1,920 mg of base herbal medicines) including cistanche, peony, ginseng, and glycyrrhiza, and five ingredients typically found in western-style supplements, including taurine and vitamins. This product is an effective nutritional supplement during and after periods of illness, such as colds. For most people, the physical condition tends to become weaker from autumn to the winter season. Particularly in December, mini-drinks containing herbal medicines are often consumed as nutritional supplements when people come down with colds. 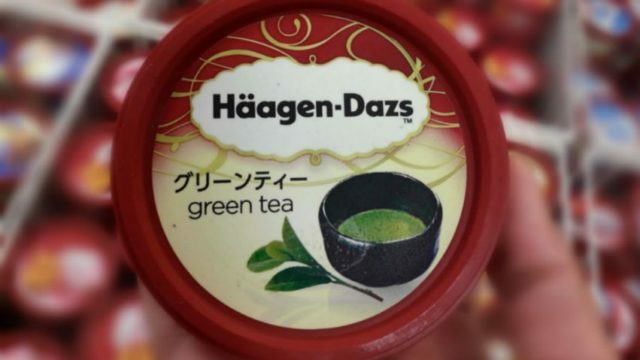 The demand for this kind of drink has already been a big hit here in Japan. 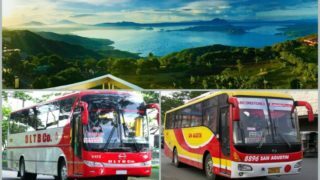 Another type of quasi-drug is here to boost your hpysical state into the next level. It is specially formulated for as nutritional supplement for physical fatigue, during and after illness, loss of appetite, malnutrition, diseases with fever and exhaustion, and during pregnancy and lactation. Recommended dosage is one bottle per day for those who are 15 years old and above. It is highly suggested that one must take necessary precaution before taking any energy drink. 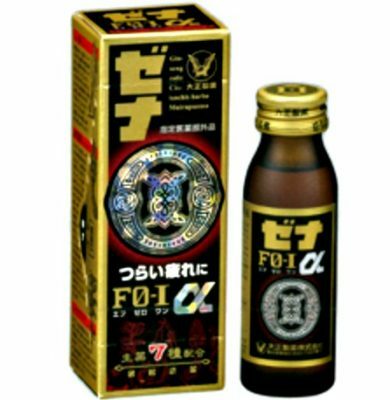 It is the flagship energy drink for Taiho Pharmaceutical. It has 1,000mg of Taurine formulation. For those who don’t know, Taurene is an essential substance in our body that stimulates insulin and also serves as a great antioxidant. Its fruity flavor makes it even easier to drink just like drinking your favorite soda! If you want to overcome fatigue and conquer the day, this drink is one of your best options. 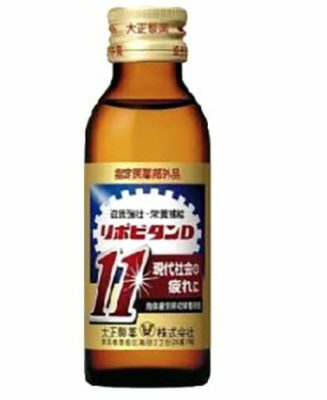 This energy drink is recommended for 15 years old and above. Maximum dosage consumption is only one bottle per day. 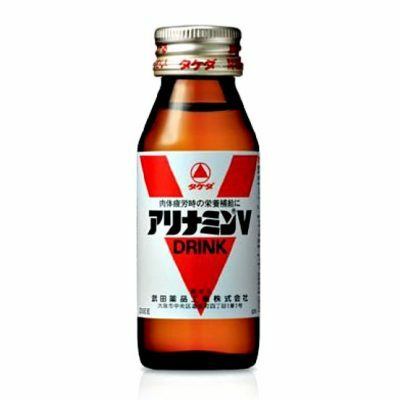 Considered as one of the most bitter taste energy drinks in Japan, this quasi-drug is worth taking if you experienced over fatigue and yet wanting to do more on a busy day. It contains full sulfithiamine hydrochloride (vitamin B1 derivative) that plays an important role in energy production of carbohydrates and helps maintain the functions of nerves and muscles. It also has B2, B6, Nicotinic acid amide, Sodium L-aspartate, and Anhydrous caffeine that are all energy stimulants and capable of weight loss. 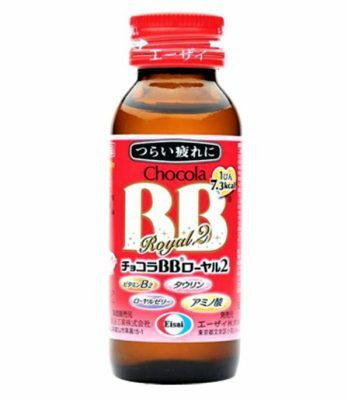 Yes, it only contains 50ml which is not the usual dosage of most energy drinks in Japan but the components indeed deliver great results! 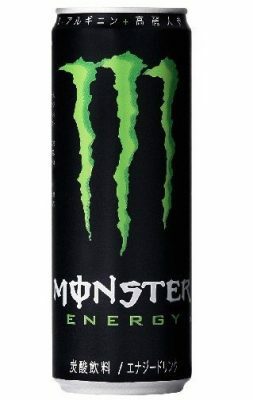 Monster Energy is a carbonated energy drink that contains ginseng extract in addition to L-carnitine and L-arginine, Vitamin B2 & B6, caffeine, and etc… which are the attributes of energy drink in raw materials. It also has a great taste that is really easy to drink because of its sweetness plus the color resembles an apple juice. This energy drink is highly recommended for athletes or people who are always on the go! It will help you fight the tiresome day by boosting your energy to a higher level! 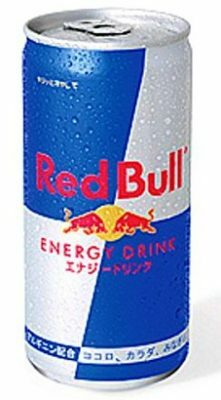 Another famous energy drink in Japan is Red Bull. This energy drink’s formulation is made of only high quality ingredients such as vitamin B group, sugar, glucose, caffeine, arginine, and water of the Alps. This energy drink helps in boosting your energy and confidence level so you can soar even higher! Some people prefer to drink it 30 minutes before having a training, or even studying! Raizin Zero was released in September of 2017 and has now become on of the famous energy drinks in Japan. This new carbonated energy drink has a refreshing taste that can easily change your mood and helps you get the extra booster that your body needs. Here are the components that you will see on its label: Erythritol, salt, ginger extract, acidulant, fragrance, preservative (sodium benzoate), caffeine, inositol, sweetener (acesulfame K, sucralose), niacin, spice extract, coloring (caramel), tea extract, VB 2, VB 6. Since caffeine is included, it’s highly recommended that pregnant women, children, those with poor physical condition and those sensitive to caffeine should refrain from drinking to avoid health problems that may arise in the future. 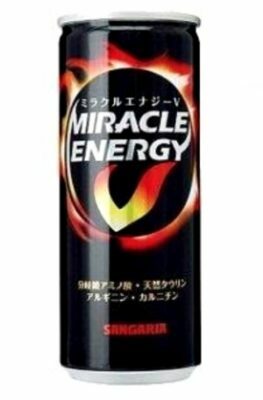 Miracle Energy V is a masterpiece of Sangaria Beverage that has become one of Japan’s most popular energy drinks nationwide. It is known to have a refreshing taste just like a perfect balance of flavors, and an instand mood booster for someone who wishes to stay active all-day long! 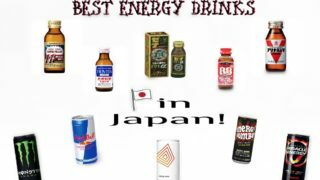 The energy drink is also very reasonable just like the others available all over Japan! You can even purchase online (Amazon.com) in bulk orders. The product is definitely worth its price! Energy Bomber is another highlight for those who want to stay physically and mentally active! 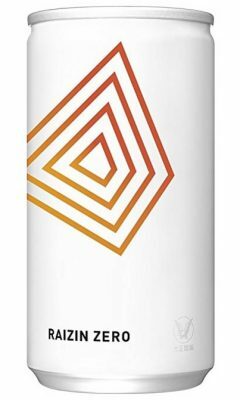 This 250ml energy drink will give you a little motivation to stay focus during heavy training or performances. 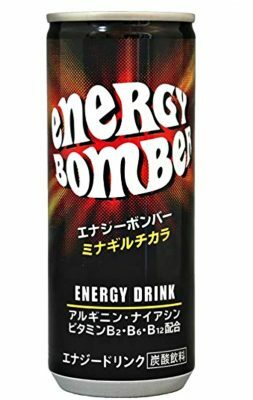 It is also one of Amazon.com’s recommended energy drinks! Thinking about its price, this drink is really a good choice! Aside from being an energy booster, it also serves as an antioxidant that helps protect body cells against free radicals. 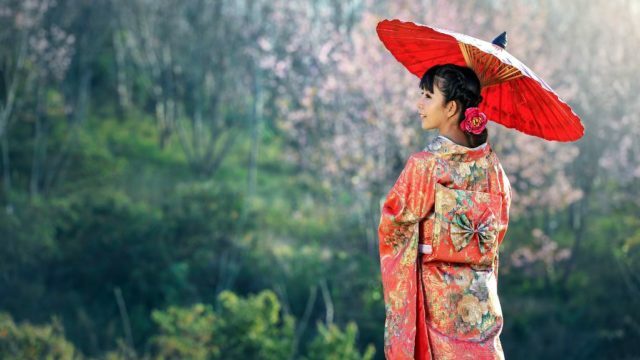 Best Japanese Umbrellas | Surviving Rainy Days! 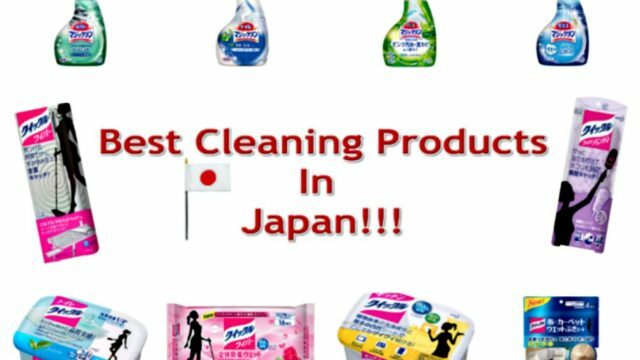 Best Japanese Cleaning Products | Clean Your Space With Ease! 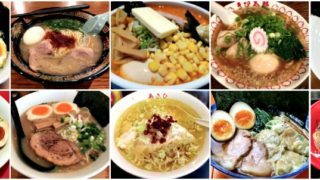 Best Ice Creams in Japan | Devour to Your Satisfaction!